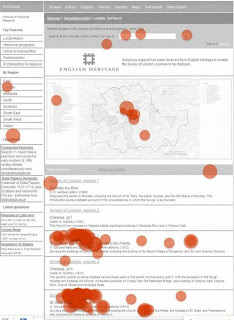 For a set of local history volumes, there is no visual way to assess coverage over what could be a substantial amount of data. 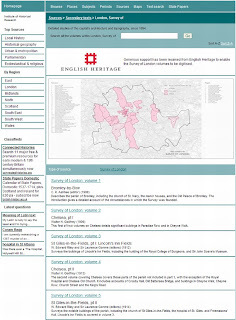 If the source contains a map showing coverage, then provide that map at the source level with positioned links to the individual volumes or articles as appropriate. 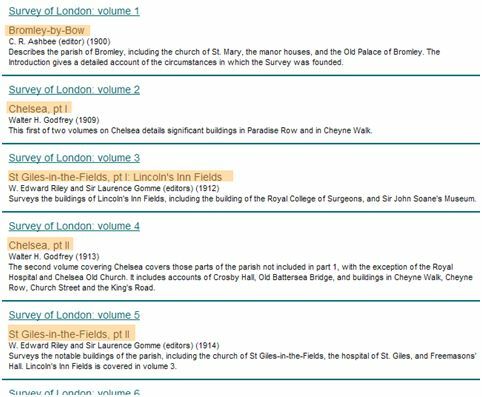 The Survey of London volumes have been created over the course of 120 years and cover some of the most iconic locations in the capital. At the moment, the user would have to remember the descriptions of over 50 volumes to go straight to the one they want because the subtitles can be quite general. 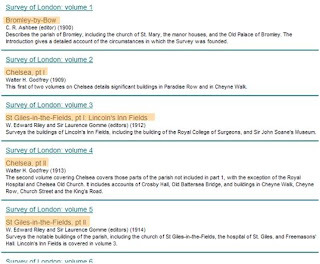 Where would you expect to find an account of the church of St Giles in the Fields ? 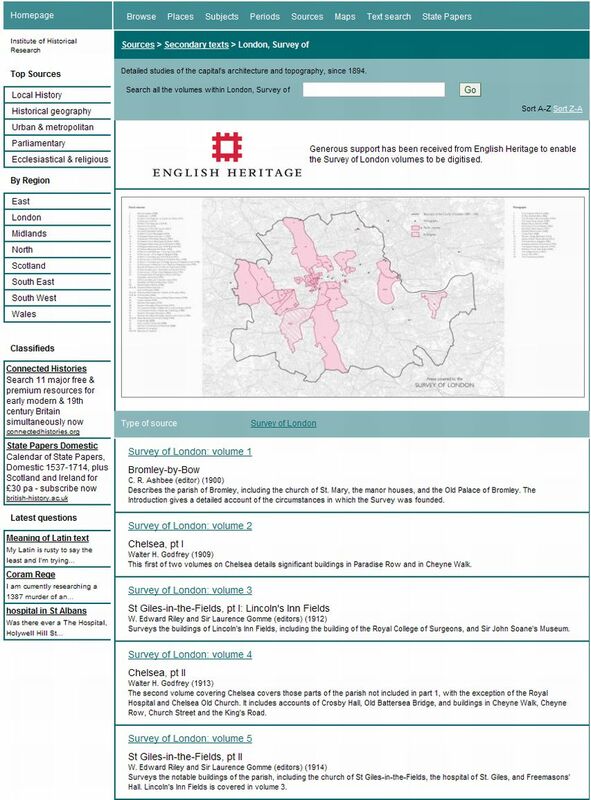 Insertion of new map facility with simple jQuery based zoom function at the head of the volume list (Survey of London on British History Online). 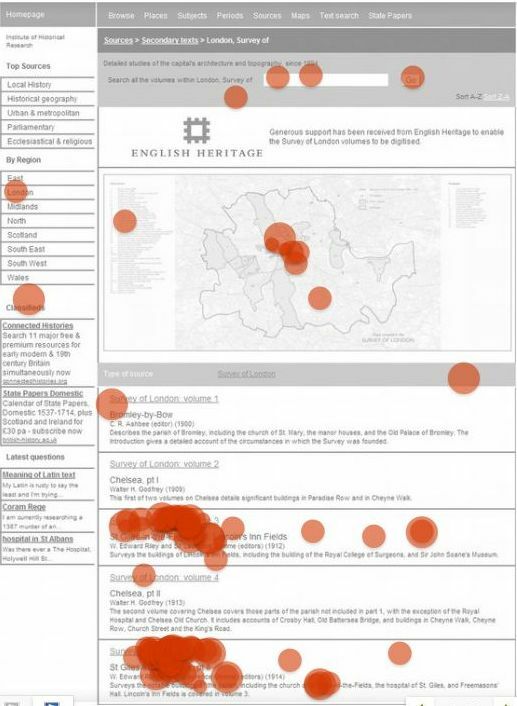 Difficult to make out any movement in clicks using the Survey of London. 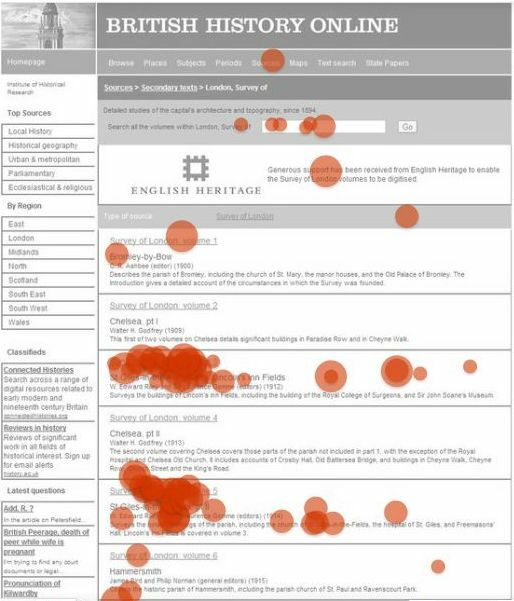 That may be because the question asked users to find an area for which an account existed - it may be that users who are researching areas not covered by the Survey are able to see more quickly that it won't be directly useful to their work. It may be more use therefore in the structuring of a research project (i.e. 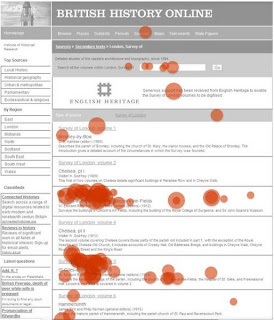 the identification of relevant sources), rather than detailed research itself. Future usability studies should take account of this value.